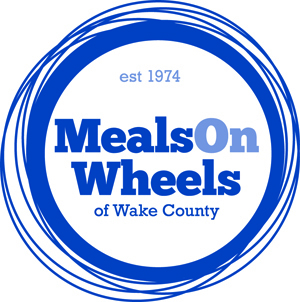 Meals on Wheels of Wake County serves 1,300 noontime meals every weekday to adults in Wake County who are elderly, homebound or have disabilities. In addition to the hot meals delivered to homebound individuals and served at the congregate dining sites, frozen meals are delivered to dialysis patients and other homebound individuals who live in isolated areas of Wake County. Some individuals receive Meals on Wheels while recovering from illness or surgery, while others need meals indefinitely. Meals on Wheels does not serve special diet meals, but clients can adapt the menu to their daily dietary needs. Home-delivered meals are delivered Monday through Friday by more than 2,200 volunteers. For more information, e-mail info@wakemow.org.